« Apple pies! Pies! Pies! PINK LADY has it all: a highly distinctive color; rich flavor; a glamorous name evoking the grenadine-laced cocktail of the same name; and legal intrigue worthy of Perry Mason, Erle Stanley Gardner’s famous fictional attorney. Pink Lady is a firm, crisp, sweet-tart apple with beautiful pink coloring over a yellow-green peel. The level of its pink color symbolizes the controversy over this variety, as its intensity separates the premium from the pedestrian — even the name. If you are confused, you are not alone. The variety’s original name is Cripps Pink. The marketing brand available only to licensed growers and sellers is Pink Lady. Either way, it is the same apple. Yet Pink Lady commands a premium in the marketplace, primarily because of its distinctive solid pink color, one of the main criteria for licensing (along with sugar content and acidity). Pink Lady was one of the first varieties to be trademarked and then “managed” by being licensed to a limited number of growers, or “clubs.” The trend has accelerated and been refined since Pink Lady was introduced, further limiting the availability of new varieties to only growers who are admitted to the club. Seen as a way to maintain quality, control production, and return more money to the university-based breeding programs that develop the apples, managed or club varieties shut out many growers. Pink Lady was developed in the 1970s by John Cripps at the Western Australia Department of Agriculture and introduced commercially in 1989. It is a cross of Golden Delicious and Lady Williams. Lady Williams is not well-known in North America, but this chance seedling from the 1930s is widely grown in its native Australia. It is probably from Lady Williams that Pink Lady gets its characteristic pink blush, layered over a yellow base supplied by Golden Delicious. Pink Lady also owes its conical shape to Golden Delicious. But if the apple has too much of the Golden’s base coloring, Pink Lady reverts to Cripps Pink (the apple must be two-thirds pink to qualify for the premium label). To heighten the pink color, some growers remove leaves from the tops of the trees to admit more light, or they place reflective strips on the ground beneath the rows of trees to increase sunlight to fruit on the lower branches. Pink Lady is an outstanding all-purpose apple, good for fresh eating, cooking, and in sauce. A firm apple, Pink Lady holds its shape during cooking, making it a good apple to pair with softer varieties like McIntosh or Cortland. Pink Lady is a late-season apple, not ready for picking until mid- to late October, and it stores well in refrigeration. If you’re out shopping for a Christmas tree in the Belltown Hill Orchards, South Glastonbury, Connecticut area, they are running a special through December 24: buy a Fraser fir Christmas tree and receive free Pink Ladies! Visit belltownhillorchards.com/farm-market/specials-of-the-week. Call 860-633-2789 for details. Here is a delicious salad in which Pink Ladies excel. Feel free to substitute with other New England apple varieties, as long as they are on the firm side. In large skillet, heat oil on medium, being careful to keep it from smoking. Add tamari, garlic, and onion. Stir-fry two minutes. Stir in broth, broccoli, red pepper, and thyme; cover and continue cooking five minutes. Remove from heat; stir in apples and basil/parsley. Place on platter over chilled arugula. Top with crumbled bleu cheese. Option: Serve with Fakin’ Bacon tempeh or strips of chicken from two broiled chicken breasts. LOOKING FOR AN APPLE GIFT for the holidays for the apple-lovers in your life? 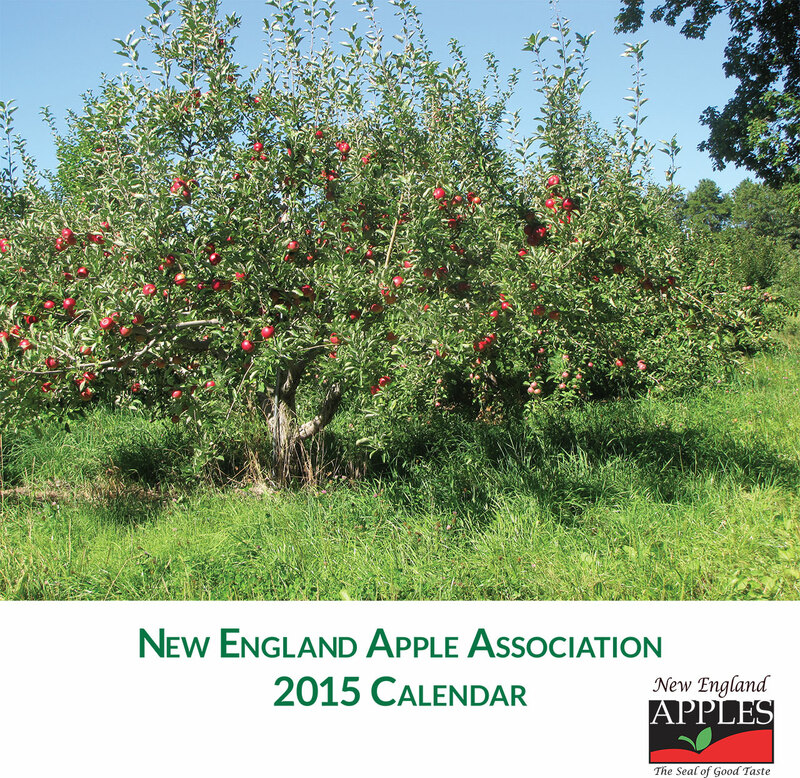 Here are two suggestions: the 2015 New England Apples wall calendar, and America’s Apple, the new book about apple-growing by Russell Steven Powell. Both the calendar and book feature photography by Powell and Bar Lois Weeks. For information on how to order book or calendar, visit Brook Hollow Press.